Register if you would like to attend the networking happy hour. 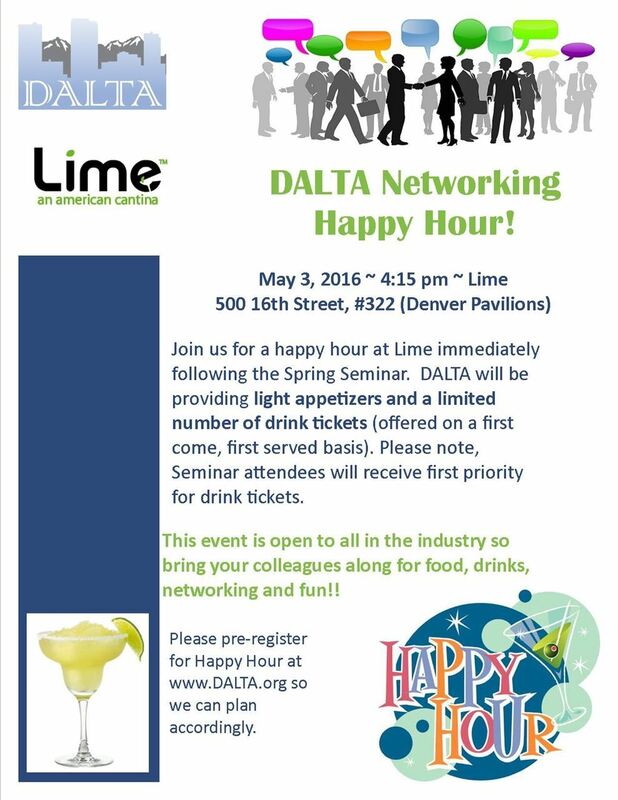 DALTA is hosting a networking happy hour following our Spring Seminar. Register here if you would like to join us at Lime!